West Midlands Museum Development (WMMD) is coming to the end of year one of the 2015 – 2018 programme, funded by Arts Council England; although the team only came into post in October 2015 it has certainly made an impact. 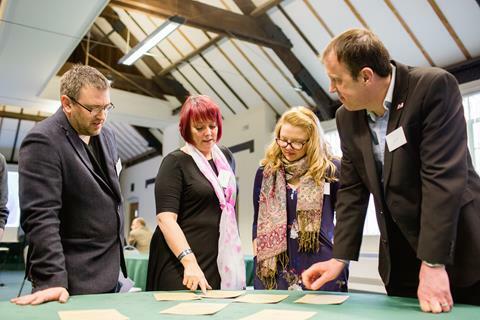 170 delegates took part in 'Fresh Perspectives' a two day conference part of Ironbridge Gorge Museum Trust’s Major Partner Museum and Museum Development programmes to help build resilience. Delegates participated in interactive workshops and listened to discussions on Fundraising, Diversity and Commercialising Collections. Delegates represented approximately 24 accredited museums and 4 Major Partner Museums from across the region. AND importantly we will respond to what museums in the West Midlands need, to help them thrive and flourish – so keep in touch with your Museum Development Team. 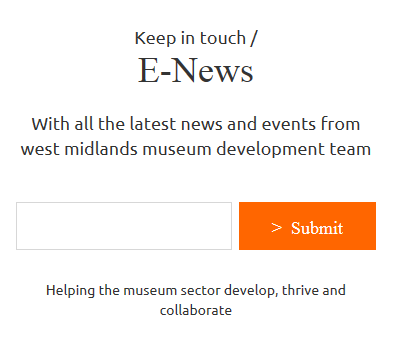 What we need from you…..
We realised from speaking to delegates at the conference that there are still many museum staff, volunteers and trustees within the West Midlands who do not receive our newsletter. PLEASE make sure your colleagues don’t miss out and forward this newsletter today! To sign up for our newsletter visit our website and submit your email address at the bottom of our home page or at the bottom of all our web pages. The deadline for AIM’s sector wide survey on the impact of charging for admissions on museums and heritage sites has been extended until 5pm on Thursday 14 April. The survey is available in English and Welsh and is the first part of vital research into the impact of charging for admissions on museums and heritage sites. If you have not yet done so, please contribute to this survey and also consider sharing this information with other organisations, as the results will help to generate responses from across the whole heritage sector. AIM is also taking part in #museumhour on Monday 11 April from 8-9pm as part of their debate on whether museums should charge for entry. If you would like to take part in the #museumhour debate or if you would like to follow all tweets, please use the hashtags: #museumhour #museumcharge. Museum Hour will Storify the debate shortly afterwards and the interactions will feed into the broader research into the question of museum admission charges. The Department for Culture Media and Sport (DCMS) has published the first white paper for culture in over 50 years and this is only the second one ever published. This paper outlines how the government will support our cultural sectors over the coming years, assessing both the challenges and opportunities. A review of museums, the first in ten years, and 'tailored' reviews of Arts Council England and Heritage Lottery Fund. Both reviews are to take place and be concluded within 2016/2017. Measures to increase participation in culture, in particular children and young people from disadvantaged backgrounds. Launch of Heritage Action Zones, advising communities how to make the most of their historic buildings. Reiterating existing schemes to help diversify fundraising in the sector. A new Commercial Academy for Culture to bring in ideas from business to improve and increase commercial expertise within the cultural sectors. The Arts and Humanities Research Council (AHRC) has published its report on the Cultural Value Project. AHRC’s 3 year project is described as 'one of the most in-depth attempts yet made to understand the value of the arts and culture – the difference that they make to individuals and to society'. "Twice a year, non-profit cultural publisher Culture24 invites all UK museums, galleries and heritage sites to throw open their doors after hours to showcase their treasures in unexpected ways." 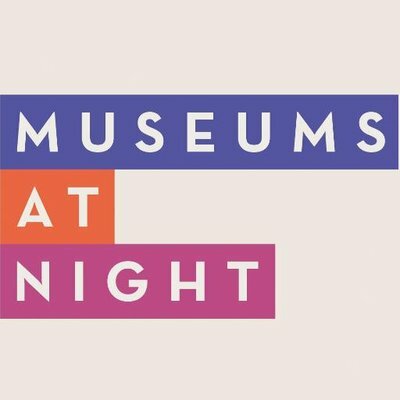 "Museums at Night is an opportunity for museums and galleries to come together around a single, simple campaign that is attractive to venues, audiences and the media." Think:Feel:Do 2016 Making museums together, for the Head, Heart and Hands 26 - 27 April at Derby Museums. A space to share and exchange ideas and experiences of co-producing museums – developing our collective understanding of why it matters; the differences it can make; and how we might make it happen. Are you a museum professional interested in understanding more about how to work with performance companies to engage audiences? Arts Connect are running their very successful Education Briefing sessions for those who work with schools and would like to know more about the changes in the school sector and how that will affect the work they do. Being a museum or heritage trustee is a rewarding but sometimes daunting task, so as part of the Association of Independent Museums (AIM) Hallmarks Governance Programme, AIM has introduced a series of special sessions tailored to meet the needs of trustees today. A one-day seminar exploring new ways museums can generate income. The Association for Industrial Archaeology (AIA) is holding a one day workshop at the Ironbridge Institute, on April 23 on the challenges and practicalities speaking up for industrial archaeology at a local scale. This day school is intended for museum staff, volunteers or collectors who work with historic costume and are interested in learning from Museums Worcestershire’s experience in how to handle, pack and care for their costume and textile collections. The day school is intended for museum staff, volunteers or collectors who work with archaeological artefacts and archives and are interested in learning from Museums Worcestershire’s experience of how to rationalise, deposit and care for their archaeological collections. The Cider Museum is looking for an experienced and dynamic Museum Director to help develop and push forwards a ‘2020 vision’ for this Museum. The Museum Trustees are looking for a Director able to manage the day to day running of the accredited Museum; and also has the drive, enthusiasm, commitment and skills to develop the museum’s visitor offering and experience. If you feel up to the challenge, then the Cider Museum Director’s job description and person specification are available from www.cidermuseum.co.uk/index.php/latest-news/ or call: 01432 354207. Whether you offer a one off cultural experience, a residency or a project this course will save you time and resources in supporting you to plan your work in a way that meets the needs of teachers and children and helps you build more satisfying and fruitful relationships and partnerships with the formal education sector. Arts Connect are offering an opportunity to work alongside experts in the ever changing field of education, a Head Teacher, and arts & cultural organisations with a track record of success in developing long and deeply rewarding partnerships with schools. knowledge and understanding of strategic planning and how it can help you be more effective. Arts Connect has just launched their Cultural Sector Support Programme which is open to those working in museums and heritage. You need to have a passion or interest in working with your local community and children and young people. You could be a beginner or very experienced at developing work for children and young people, each opportunity will take you from where you are now to where you would like to be. In order to support the sector in accessing their training they are offering £125 per day for heritage professionals who are not working for organisations already funded by Arts Council as either a Major Partner Museum or National Portfolio Organisation who wish to attend. Freelance professionals can also apply. 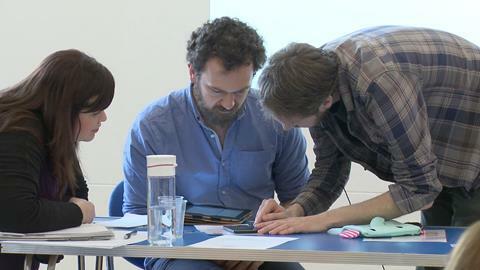 Arts Connect are providing three one day workshops led by Jo Hargreaves from award-winning international strategy and research consultancy, Morris Hargreaves McIntyre www.mhminsight.com. Jo has been working alongside consultant Sue Challis http://www.suechallis.co.uk/ and arts organisation We are Frilly http://wearefrilly.com/evaluation/to design a one day workshop in gathering robust and creative evidence of outcomes for children and young people. 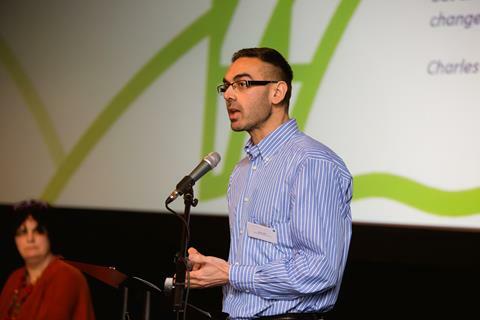 The first workshop took place on 1st March 2016 at the Library of Birmingham. Other workshops will take place in April and June 2016. They will offer one place per organisation and within their organisation participants must be working in or supporting the work of learning and participation. The places are not open to people on internships or apprenticeships. Arts Connect is offering training bursaries to non-profit making, charitable and voluntary organisations working in the arts and cultural sector to attend this course. If your organisation needs support for you to attend this workshop please let Arts Connect know at the time of registering your interest.